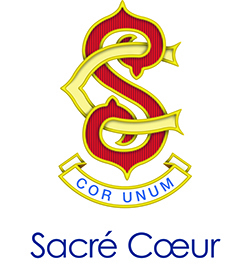 Sacré Cœur is a leading Catholic School for girls, founded in 1888 by the French order of nuns, the Society of the Sacred Heart (RSCJ). We belong to our international Sacred Heart family comprising over 150 sister schools across 40 di?erent countries. At the heart of a Sacred Heart education is a deep respect and concern for each student’s wellbeing. We believe that positive relationships lie at the heart of learning and for students to be ready to learn, they must first feel happy and secure. 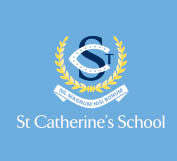 We aim to build connections that maximise capabilities, providing opportunities for respectful and mutually beneficial relationships, that ensure all students have their emotional and social wellbeing carefully nurtured. Our vision ‘Sacré Cœur Women Shape the World’ reflects the aspirations for our young women and is authentic to our Sacred Heart tradition. We believe in developing globally-minded citizens who are prepared to share their gifts and talents with others. Advancements in technology and entrepreneurship demand we prepare our students for a world very different to the one we’re in now. A curriculum based on our four key pillars, Connection, Agency, Mastery and Authenticity, creates a foundation for students to take on this challenge. Our programs support them to do their best academically but also promote thinking outside the school walls, encouraging connection with the local community and our sister schools across the globe. Agency is the ability and opportunity to make choices for oneself. Giving students some choice in what they learn increases the investment in their own learning journey. Mastery, in a contemporary learning environment, encourages quality of learning over quantity of tasks, promoting expertise through ongoing practice. Students need to believe what they are learning is meaningful and has a clear purpose. Our final pillar, Authenticity, demands that learning is real. As a result, Sacré Cœur students consistently achieve excellent VCE results and seek to contribute to their local communities and to the world.